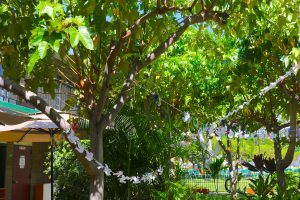 Kawaiahaʻo Church School participated in the annual International Day of Peace observed around the world on September 21st. Peace Day provides a powerful opportunity for students to consider the concept of peace and how they can be a peace builder in their world, as well as to express their visions for peace on a personal, local and/or global sense. Observing Peace Day is a powerful way to open the school year with dialogue about interpersonal respect, compassion and local/global citizenship. Along with many schools and countries around the world, the keiki at Kawaiahaʻo Church School observed a moment of silence. 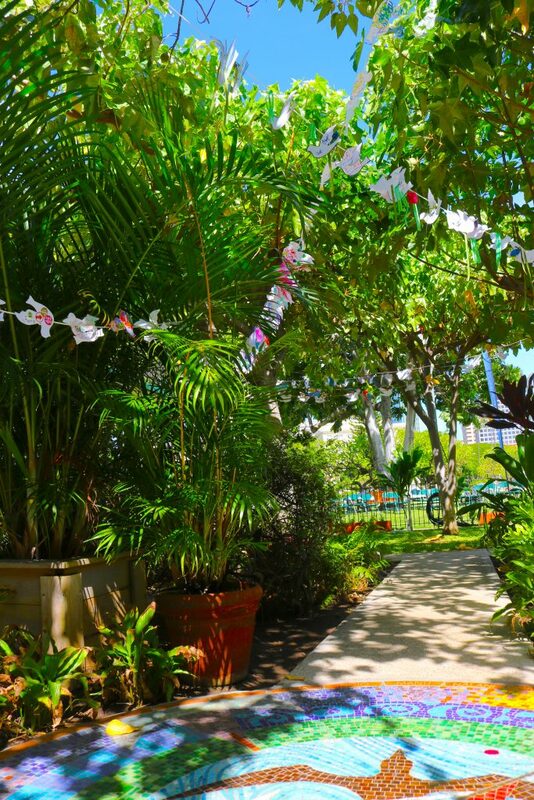 The students also decorated and wrote their names on paper doves, symbolizing their commitment to peace, which are beautifully strung across the school’s courtyard. Throughout this past month, each classroom has also selected a country to study, spending time learning more about the country’s language, lifestyle, foods, activities, and other unique qualities. The keiki represented his or her respective countries in a Parade of Nations. The keiki and their families walked around the historic district of downtown Honolulu, which included Aliʻiolani Hale, ʻIolani Palace, the Capitol, and Honolulu Hale. Following the parade, the keiki presented a short program of songs from their respective countries. And finally, there were activities, games, and food samples presented by each class.